DALLAS, Mar 8, 2012 / — The lovely actress Leven Rambin (Hunger Games) wore lia sophia’s Multi-Strand Chain Necklace at the NYLON Guys + PF Flyers Celebrate The March Issue With Cover Star Josh Hutcherson on Feb 29th! 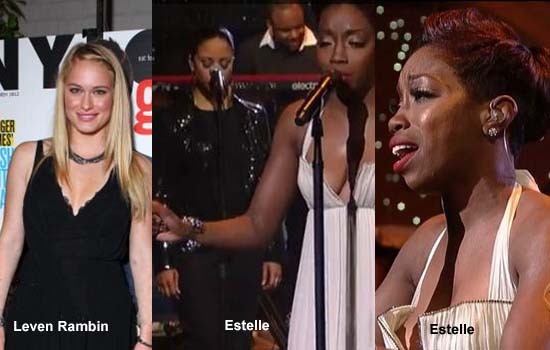 Recording Artist Estelle wore the Mirela Ring from lia sophia’s newest Red Carpet Collection, zingara, while performing her latest single “Thank You” on the Late Show with David Letterman on Feb 28th! Draped in a plunging white gown, the Mirela Ring’s clear cut crystals and antique silver added the perfect touch to the fashion darling’s ensemble.